On the 25th anniversary, it is time for those responsible to be held to account. The executions began in late July and continued for several months. As many as 30,000 political prisoners or more, the overwhelming majority of them activists of the People’s Mojahedin Organization of Iran (PMOI or MEK) were slaughtered. The executions soon began and every day hundreds of political prisoners were hanged and their corpses were buried hurriedly in unmarked mass graves in all of Iran’s major cities, in particular in Khavaran cemetery in south Tehran. Ayatollah Hossein-Ali Montazeri, a cleric who had for ten years been the designated successor to Supreme Leader Ayatollah Khomeini, strongly protested against the mass executions and called for a moratorium, but Khomeini insisted that there should be no mercy shown and ordered that all prisoners, including even teenagers and pregnant women, be put to death immediately. Because of his opposition to the killings, Ayatollah Montazeri quickly fell out of favor with Khomeini and was eventually sacked in March 1989. In December 2000, Montzaeri published his memoirs and revealed shocking details about the massacre and the brutality of Khomenei. The Iranian regime continues to deny the 1988 elimination of political prisoners. None of the perpetrators have yet been brought to justice and none of the regime’s senior officials, including the Supreme leader Ali Khamenei, have been held accountable. 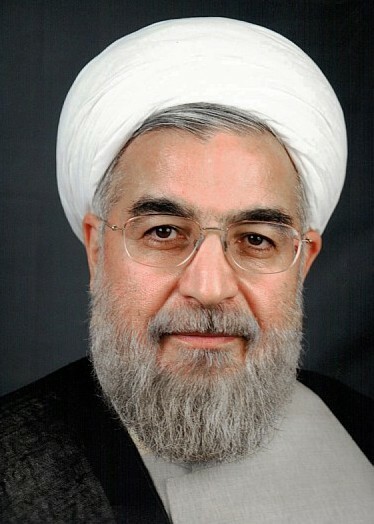 The new so-called “moderate” President of Iran, Hassan Rouhani, was Deputy Commander-in-chief of the regime’s armed forces at the time of the massacres and, since 1982, was a member of regime’s Supreme Defence Council, so was fully aware of the crime and in full conformity with it. On the 25th anniversary of one of the most hideous crimes against humanity since the Second World War, time has come to call for those responsible for to be held to account.